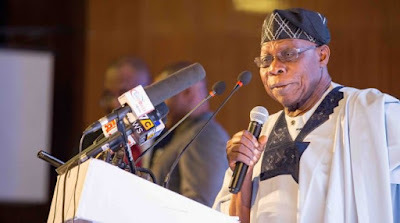 Former President Olusegun Obasanjo yesterday declared that Nigeria will not make progress until the country gets its governance system right. 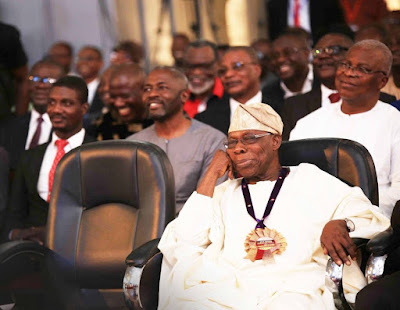 Obasanjo, who spoke at the opening of the National Annual Conference of the Association of Chief Audit Executives of Banks in Nigeria (ACAEBIN) held in Abeokuta, also said the nation would be endangered if it failed to take partnership seriously. Politics, Population, Prosperity, Protection and Partnership. According to him, Nigeria and other African countries are endowed with resources but their citizens regrettably continued to live in abject poverty. “If we bring these resources together and manage them effectively, then we will definitely get prosperity,” he stated. The former President argued that business will not be right if audit was not right. He said: “What I want to emphasize is that it’s a must as Nigerians and as Africans that we have certain elements that we have to take very, very serious. I put it as five Ps. The first point is politics which is governance. Unless we get governance right, any other thing we are trying to do will not be right. “The second is population; at independence we were estimated to be 45 million but today we are 200 million. By the year 2050, we will be over 400 million. Normally, population should be an asset but looking at the condition we are in now, when in the North East of Nigeria, the percentage of adult literacy is about 53 per cent. You can see that we have a problem and education is basic in all human development. “How do we think of setting education to be useful? Those people who will make our population over 400 million in 30 years time are already born. You cannot unborn them. So, the problem is here. What do we do? We must provide education for them, housing for them and more importantly, employment for them. Obasanjo added: “If we are able to get that (agric business) right, maybe, we will be able to get the issue of employment for our teeming youths right. We will be able to get even the issue of rural development right; we will be able to get the issue of the gap between the haves and the have nots right. “The next one is prosperity. I am not being bothered about Nigeria’s poverty or Africa’s poverty. We have everything to generate wealth. We have God’s given resources under our soil; we also have human resources. If we bring these together, then we will definitely get prosperity. “Another one is protection; that is security. People must be protected in all aspects; protection of life, protection of property and the people can actually feel that they are protected. The final one is what I call partnership. Partnership within ourselves, partnership within our communities, partnership within our states and our country.